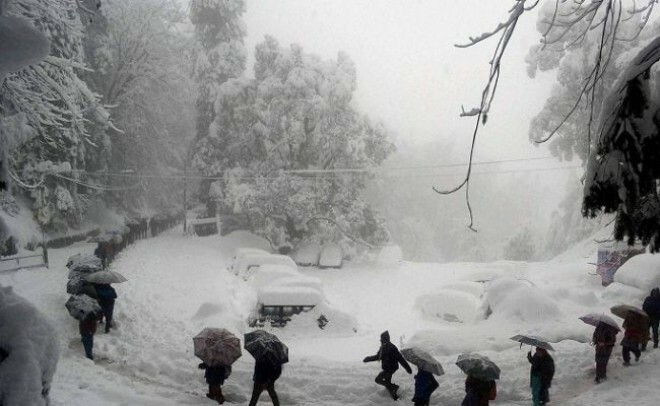 Snowfall around the Jawahar Tunnel and landslides triggered by rains at several places near Banihal disrupted traffic for several hours on the Jammu-Srinagar National Highway on Wednesday, officials said. Several landslides struck the strategic 270-km highway overnight at Digdole, Battery Cheshma and Maroon between Banihal and Ramban, blocking the only all-weather road linking Kashmir with the rest of the country, they said. The official said a road-clearance operation was launched immediately and the traffic, which was allowed from Jammu to Srinagar this morning and stopped at Udhampur, was allowed to ply around noon. A landslide had also occurred at the highway at Digdole around 4 pm on Tuesday and the debris was cleared by 8 pm, they said. The traffic was stopped around midnight in view of a risk of more landslides, leaving hundreds of Jammu-bound vehicles stranded, they added. After the highway was reopened, the stranded vehicles were first cleared from the landslide-prone areas, the officials said, adding that the traffic was plying smoothly when last reports were received. They said fresh snowfall, about six inches, around Jawahar Tunnel the gateway to the Kashmir Valley -- was also cleared. Banihal town also experienced light snowfall, while heavy rains lashed other parts of the highway during the night, the officials said.